This is what $2.5 Million US Dollars in 993 looks like. 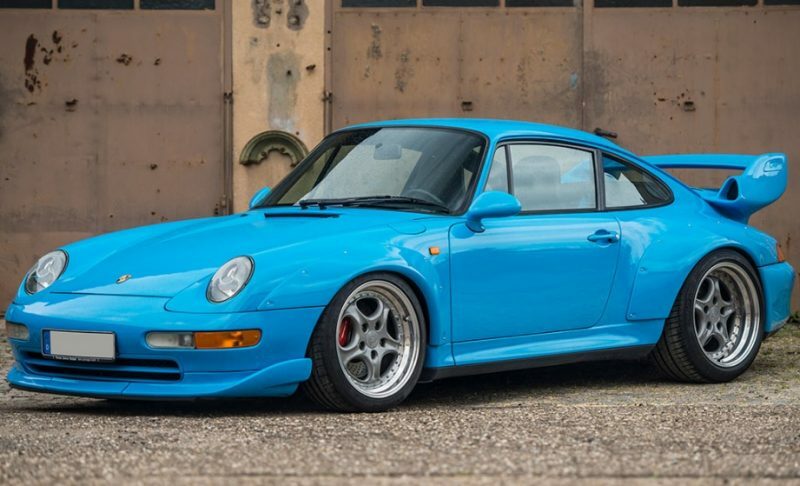 Despite signs that the air-cooled market is softening, RM Sotheby's just auctioned off this 1995 Porsche 993 GT2 for an astonishing one million pounds more than the pre-auction estimate. If the market is softening, the buyers after this piece of Porsche motorsport history never got the memo. The original listing for the car is available in the RM Sotheby's catalog. Porsche made around 200 993 GT2s, including 57 or so road cars. Sources vary, but the total is somewhere between 194 and 202. This example is an unmodified road car which retains its original drivetrain as confirmed by a Porsche certificate of authenticity. Amazingly this 993 has had just one owner, and has only covered 12k kilometers from new. We're not sure how that owner managed to put so few miles on a GT2 in more than twenty years, but their loss is clearly a collector's dream. Congratulations to both the seller and to RM Sotheby's for blowing so far past the pre-auction estimate. For those of us with pristine, collectable air-cooled Porsches this is exciting news. For those of us still hoping and saving for their first air-cooled car, it's time to start checking friends' couches for change. Just subsribed and love what i’ve seen and read already.